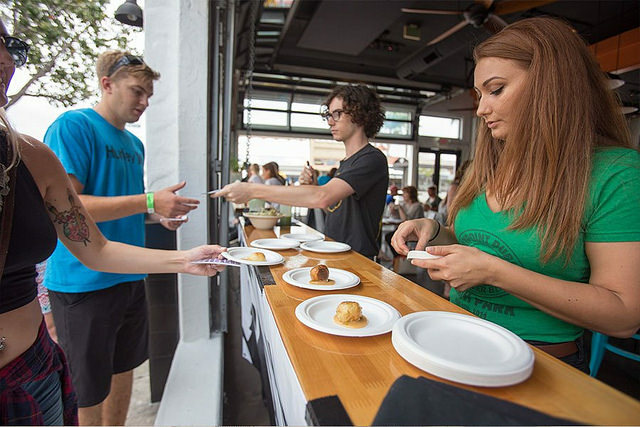 Experience the best of North Park this weekend with the annual Taste of North Park. The event, which takes place from 11 a.m. to 3 p.m. Saturday, features more than 50 restaurants and 15 craft beers. Adding to the delicious foods and drinks, will be live entertainment from street musicians and artists as participants stroll along the vibrant and colorful neighborhood and sample and sip along the way. For more information, go to northparkmainstreet.com/events/taste-north-park. Ensure your child’s health with a free festival on the Lakeside Rodeo grounds. Children can receive free, potentially life-saving health care screenings, including vision, dental, and wellness checkups at the 2017 Kids Care Fest from 9 a.m. to 1 p.m., Saturday. The event also will feature information about health insurance and social service organizations, along with free kids fingerprinting and free flu shots (while supplies last). Additional free activities will include rock climbing, inflatable obstacle course and pony rides, along with demonstrations and displays from law enforcement, including police and fire officials. Warner Springs Ranch Resort will now be home to “The Gallery at Warner Springs,” which will celebrate its grand opening from 1 p.m. to 4 p.m. Sunday. Artists featured at “The Gallery at Warner Springs” rotate on a quarterly basis. The first will be award-winning painter Judith Doxey and her depictions of beloved Warner Springs landmarks. Doxey will be available during the grand opening celebration to meet and discuss her work with attendees. Guests can also expect a raffle and silent auction benefiting the Warner Springs Cultural Association. The San Diego Historical Chinese Museum will host an exciting demonstration with three local artists of Traditional Chinese calligraphy and painting for their exhibit opening: Check Ng calligraphy, Yuen Chik Tam ink painting, and Lily Yu, chop engraving. The event takes place from 2 p.m. to 4 p.m. Saturday. Tickets for guests are $5 and are free for members and children. The Indian Festival of Lights will take place at the Organ Pavillion in Balboa Park this Saturday. The event, which takes place from 11 a.m. to 8 p.m., features lamps from India. Guests can also expect dancing and authentic Indian food. Join in on the Fleet Week fun this year. Qualcomm will host an Innovation Zone Friday through Sunday with interactive displays of the latest in high tech military and civilian equipment. A parade will also be held starting at noon Saturday. This year’s parade will not only include active Navy and Coast Guard ships, and Navy, Marine, and Coast Guard Aircraft, but also feature a contingent of historic military aircraft. Guests can also see military equipment and other displays at the Broadway Pier. Looking for something fun to do to celebrate Halloween? Check out our Halloween Guide. Have an event for the Weekend Guide? Email it to alexn@timesofsandiego.com.